It isn’t news that the demise of the high street has been a hot topic within retail for quite some time now. Whether its “Brexit’s fault, “Tech’s fault”, or “the retailer’s fault”, one thing is for certain, times have changed, customers have changed, and now so must retailers. On first look at the 15,000 sq ft store, five times bigger than the previous branch also based in the city centre, it’s like stepping back in time to a traditional department store or apothecary. With more than 9 million bath bombs inside(!! ), the shop spans three floors, offering more than just soap, Lush has managed to incorporate a florist, spa, an area for kid’s parties, a hair lab, perfume library, a gift wrapping station, plus a counter where you can even buy a coffee! It’s safe to say that Lush has got this whole ‘experience’ thing down to a tee. As you first walk in there is a member of staff who greets you at the door, a simple gesture but makes all the difference, it’s nice for customers to be able to put a face to the brand and have more of connection with the store and its staff. There is plenty of corners and “Instagrammable moments” around the store, particularly the bath bomb area where bath bombs are rotated round in a Yo Sushi-esque moving carousel ready for customers to select and add their own fillings. 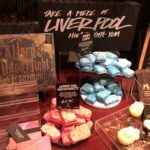 There’s a small stand with “Take a piece of Liverpool with you” written above it and a few blue (or red if you’re that way inclined) Lush products, which is a nice nod to the local ar ea. 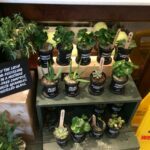 Known for its ethical, and sometimes controversial views, Lush is consistent through and through, with many products coming without a plastic packet. Each item is presented to customers is a recyclable paper bag, even its shampoo which I use myself. And what’s even better is that you do not lose out on quality, the products are made to a great standard and remain that way, all without the help of plastic. 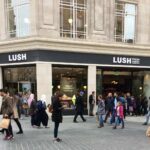 Although the new store concept in Liverpool is a grand idea, it does come at a cost, “we can’t do what we’ve done in Liverpool in every store because we can’t afford it.” While other retailers are cutting back on their high street presence, it seems that Lush has really invested in remaining there. 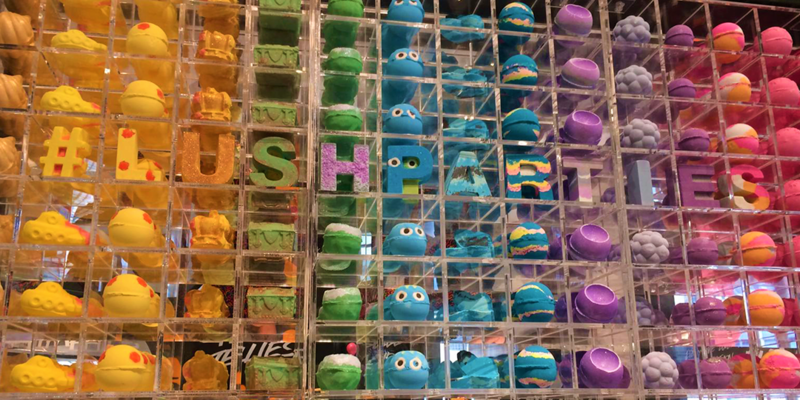 It will be interesting to see if Lush will introduce some of their new services into their remaining branches, I think there is definitely room for a few services to be added, I mean surely there’s always room for a Yo Shushi Bath Bomb carousel… hmm maybe not!